It wasn’t too long ago that board members were plucked from the ranks of serving CEOs and were expected to instantly know about governance, how it operated and where it intersected with the operational system. Yet, more often than not, directors didn’t understand their role; some digging too deeply into operational issues and others rubber-stamping everything management proposed. While CEOs generally excel in their operational roles, it would be a mistake to assume that they will excel in overseeing CEOs or that they fully grasp the role of board member. In the past, most new directors have been left to ‘get up to speed’ while learning on the job. With any luck and a little hope, there may have been a strong in-house orientation programme or a mentor on hand to guide them along the way. But luck – like hope – is not a strategy. This paucity of applied learning is exactly why director education programmes have been designed. As the problems boards face become more complex and the expectations rise on directors to fulfil their fiduciary and oversight responsibilities, board members have discovered the value of these programmes, sparking a vibrant and growing industry of its own. So much so that many boards are starting to add a professional governance certificate to their list of qualifications required of incoming board members. The question is: are all programmes and designations created equally? Further, are they teaching the right things to improve governance effectiveness? Let’s face it, the role of board members 20 years ago bears little resemblance to the oversight-heavy role demanded on today’s boards. More than ever, directors need to learn and understand what it means to be a leader in an organisation’s governance system, how it creates value for the organisation and also how it remains independent from the operational system. There are significant benefits to be had from the investment of time and money into director education for board members, executive teams and the business overall. Directors know what they are doing – Director education goes a long way to ensuring newly appointed or elected directors understand their roles and responsibilities, how boards are supposed to function, what makes them effective (or not), dysfunctional (or not) or what to do to ensure the board is actually fulfilling its mandate. Certification – The best programmes offer university certification that will stay with the individual for the rest of their careers. Certification is now seen as a ‘must have’ qualification for new candidates to senior boards across sectors and countries. It is the hallmark of a best practice director education programme and is viewed as a significant value-added benefit to the investment. Directors are expected to either have a designation to be considered for a board seat, or they must agree to obtaining one as part of their appointment. Instant credibility – Governance designations boost the value of prospective and serving directors. And, on the flip side, a designation increases the director’s earning power, in addition to enhancing their own professional satisfaction. 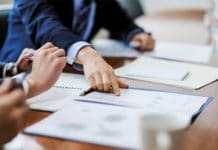 Directors hit the ground running – The steep learning curve of new directors becomes less so when they arrive in the boardroom fully familiar with corporate governance principles, rules and practices as well as the role of a director within those constructs. Directors stay current – Most graduates of multi-tiered director education programmes are expected to undertake a minimum number of continuing education hours during the year in order to maintain their designation. In this way, directors stay on top of governance trends, regulations and practices making their way into the boardroom. 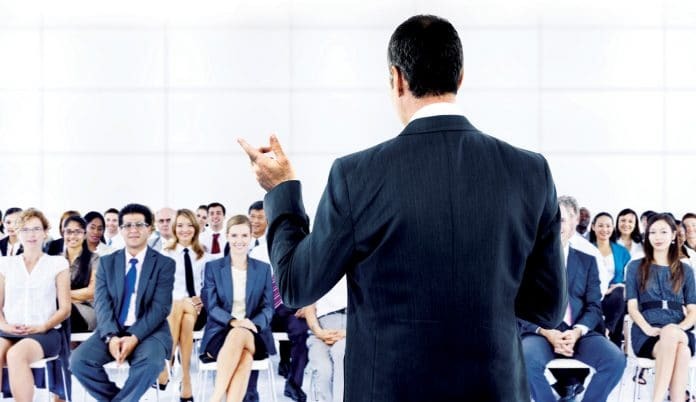 Reduced risk and increased capacity – Board members who have undertaken comprehensive director education programmes will have heightened skills, knowledge, attitudes and capabilities across the board and are therefore more likely to be fully contributing members with a solid understanding of fiduciary duties. This leads to reduced risk, a more effective and stable governance system, with reduced liability and reputational risk and increased capacity to take advantage of systematic approaches, frameworks and tools. Common frames and healthier relationships – Anecdotally, we have seen better relationships among board members once there is a critical mass on a given board who have completed a director education and certification programme. This is because of the common frames they have learned – there is cultural congruence to the way in which they solve problems together. Directors add value – Rather than being ‘one size fits all’ the best programmes can be uniquely tailored to the needs, history, context and nuances of a corporation and its sector. A reputation for good governance – A commitment to a formal, ongoing education programme that is certified by a university will raise the standards and reputation of the corporation in the eyes of its shareholders and other stakeholders. Good governance matters – it is the last line of defence protecting the corporation from operational failure. Investment in raising the bar in corporate governance is money well spent. Effective oversight of direction and control – The organisation cannot help but benefit from directors with a solid understanding of fiduciary, legal and other governance roles and responsibilities and, most importantly, of how to oversee the direction and control of the corporation. There are some significant things to watch out for with the plethora of director education options now available to choose from. For example, some programmes focus on management level oversight rather than board level oversight, which is leading to directors getting too deep into management territory, disempowerment of the chief executive officer and low appetite for innovation. This in turn is leading to tense working relationships, eroding trust and respect among other problems. In order to avoid these potential downsides, there are three levels of assessment that ought to be considered. Assess the programme content – In a post-Enron and post-Lehman world, board members are finding it harder to define ‘reasonable assurance’. Assuring jittery shareholders and regulators that the board has done due diligence, that they are confident that results are not only real, but accomplished without undue risk, is becoming increasingly challenging. As pressure mounts for boards to create a fool-proof oversight system that will simultaneously sniff out fraud, root out incompetence and maximise shareholder value, they are finding the fine line between oversight and meddling has never been more difficult to define. 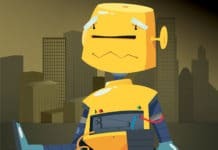 In an effort to eliminate the potential for CEO manipulation of financial results some influential educators have even gone so far as to decree that board members should have unfettered access, without due process or consultation, to anyone on staff and direct line reporting to committees of the board for other C-Suite staff. This type of governance model may solve one problem, but the unintended consequences of embedding the board into the operations of an organisation will and has led to a disempowering of the CEO, mixed messaging for staff and, in the worst cases, a complete breakdown in trust throughout the entire leadership team. Programmes that take this approach should be considered with caution. Look for programmes that are built on well-established, foundational, principles-based governance frameworks and that support an effective governance system where the board needs to provide direction through leadership of strategic issues and stewardship of resources and control by monitoring results and reporting disclosures and accountabilities to owners and stakeholders. An organisation needs two effective systems to thrive – a great operational system run by the CEO and great governance run by the chair and board. They should be separate, independent and engaged. Assess the faculty – Many programmes and faculty members are excellent but just as many are not! This is still a young discipline and it is completely unregulated. Many of the leading national director education programmes attended by inexperienced board members are being instructed and guided by inexperienced, even misinformed, advisors. There are people teaching national director education programmes who have no experience on either side of the boardroom table and who cannot even begin to describe the differences between modern reform governance and traditional board governance, or between governance and operations. These so-called governance ‘professionals’ have never been a CEO, board member or even have any experience working as an executive or senior manager in industry or the business world. Don’t let your boardroom be turned into an uncontrolled lab experiment. Assess the real-life experience and credentials of the programme faculty and look for programmes taught by experienced core faculty members made up of seasoned governance professionals, experienced chairs, CEOs and board members with proven experience in significant boardrooms. Assess the supplier – Finally, assess the credibility of the organisations behind the programme. Look for university accreditation as this will ensure programme, certification, examination and designation rigour. Many national associations, such as the Institutes of Corporate Directors and Corporate Secretaries, offer programmes, as do industry associations and consulting firms. Those with university accreditation are more credible and comprehensive than those without. 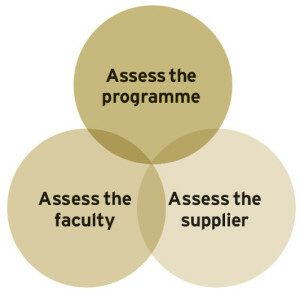 University partners and accreditation, while a definitive plus, is but one criterion: any programme should be assessed through all three lens – programme content, faculty and supplier. Principles-based, board-level governance programming, taught by experienced core faculty members and provided by credible suppliers with university partners will help to address the potential downsides of director education as it gets applied in the boardroom. But don’t let the cautions keep you from ongoing director education. 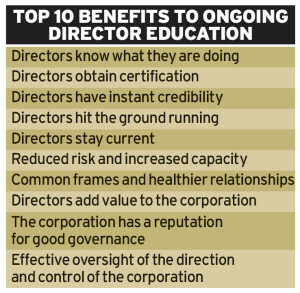 The benefits of the time and money invested in ongoing director education for the director, the board and the corporation, far outweigh the cautions. Be the best board member you can be. 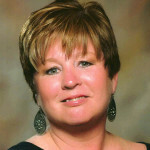 Debra Brown is the founder, President and CEO of Brown Governance Inc. Since founding BGI in 1991, Debra has developed it into a full-service firm providing governance consulting, research, training and tools. Additionally, Debra is the founder and a lead faculty member of The Professional Director Certification Program™, a world class, online director education and certification program. Currently, Debra serves on major international boards, and has worked in corporate governance in North America and as far afield as Malaysia, Bahrain and Guatemala. She is an acknowledged and sought-after thought leader in corporate governance, authoring over two dozen major research articles published in Canada and internationally. Prior to forming Brown Governance, Debra spent several years in the Canadian financial sector, working most recently as CEO.